Epidemiological and experimental studies suggest that isoflavones may protect against breast cancer by acting as estrogen agonists or antagonists. A case-control study was conducted in southeast China in 2004–2005 to examine the association between dietary isoflavone intake and breast cancer risk by estrogen receptor (ER) and progesterone receptor (PR) status. The incident cases were 756 female patients with histologically confirmed breast cancer. The 1,009 age-matched controls were healthy women randomly recruited from outpatient breast clinics. We assessed isoflavone intake by face-to-face interview using a validated and reliable food-frequency questionnaire and obtained tumor ER and PR status from pathologic reports. Compared with women in the lowest intake quartiles, those in the highest quartile of total isoflavone intake had a reduced risk of all receptor status subtypes of breast cancer with a dose-response relationship. The adjusted ORs (95% CIs) were 0.39 (0.27–0.58) for ER+, 0.32 (0.21–0.49) for ER−, 0.43 (0.29–0.64) for PR+, and 0.30 (0.19–0.45) for PR− (P for trend <0.001). These inverse associations existed in both pre- and post-menopausal women after stratification. Stronger evidence of a protective effect of high isoflavone intake was observed for breast cancer tumors with concordant rather than discordant receptor status; i.e., those with ER+/PR+ (OR 0.39, 0.26–0.59) and ER−/PR− (OR 0.28, 0.17–0.44). The finding that isoflavones protect against all tumor subtypes of breast cancer have biological plausibility, being supported by evidence from experimental studies. 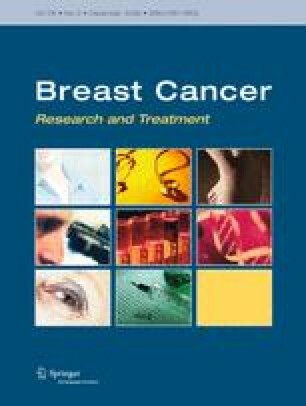 Future studies are required to fully understand the complex regulation of isoflavone on breast cancer by tumor hormone status. The authors acknowledge with gratitude the participation of the Chinese women as subjects. We are grateful for the collaboration received from the participating hospitals and their staff. The first author is supported through a postdoctoral fellowship from the National Health and Medical Research Council (Australia, ID 303292).